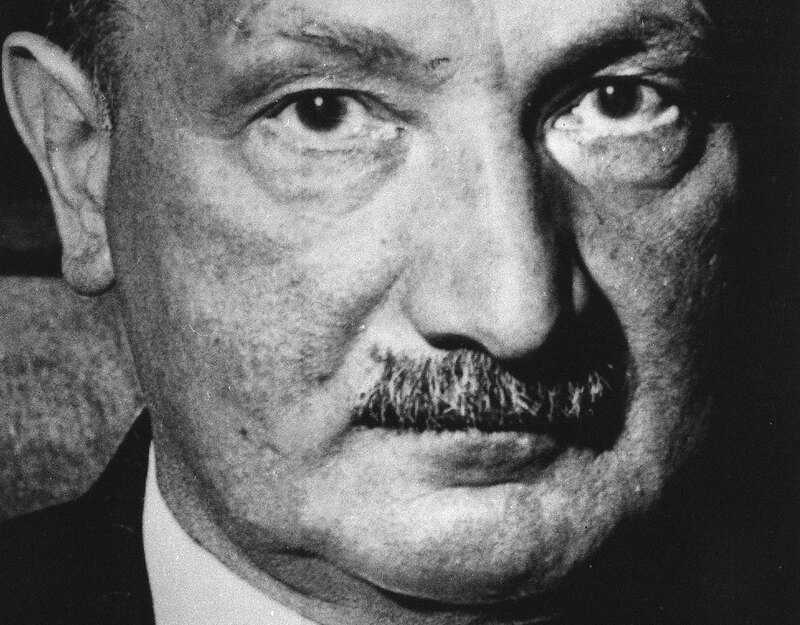 The New York Times recently reported a discussion among academics about the anti-Semitism of German philosopher Martin Heidegger, deemed verified by recently published excerpts from his personal notebooks. Heidegger, a self-proclaimed antagonist of a technological civilization he considered to be soul-destroying, in his notebooks deplored the Jewish affinity for “modernity.” The use of the term by Heidegger and others does not suffer from excesses of precision. It refers to secular attitudes critical of tradition, to reliance on empirical and scientific reasoning rather than intuition, to instinctual freedoms from patriarchal (or, for that matter, matriarchal) constraints. Anti-Semites, and even Jewish or philo-Semitic cultural historians, have suggested that Jews have had a head start in the modern epoch, intellectually, since they have had so little to discard or feel guilty about abandoning. No doubt, but there is a difficulty. Much modern anti-Semitism is not directed at the rootlessness, real or imagined, of Jews but at their rootedness—in the Old Testament rather than the New one, in a culture with great powers of resistance to host cultures, expressed in the pathos of the Jewish insistence that Jerusalem not be forgotten, whether in Berlin, Brooklyn, Cordoba or Jerusalem itself. A devout German nationalist as well as originally a Catholic, Heidegger had these primitive anti-Semitic impulses as well as ostensibly more refined ones. In any event, the publication of his notebooks tells us nothing we did not already know about Heidegger, or could easily have inferred, from his biography. As rector of the University of Freiburg just as the Nazis took power in 1933, he championed Nazism as a revolutionary leap forward for Germany, and Hitler as a national savior. To suppose that Heidegger had an inner reservation and really meant no harm to the Jews is possible—but quite absurd. He was indecently silent when his Freiburg colleague, the great phenomenological philosopher Edmund Husserl, was dismissed as Jewish and pushed to suicide. Heidegger was a Nazi to the very end of the Third Reich. The notebooks include his remarks deploring the sacrifices of Germans in war, and depicting Jews as incapable of making war. There is no recorded evidence of Heidegger volunteering as Germany was being bled white on the Eastern Front in the period 1943–45. There is no recorded comment, either, by the aging Heidegger on the military performances of the state of Israel; in any event, his writings show a sordid disdain for the participation of many German Jews in the nation’s army in the First World War. Among these was a younger intellectual, Herbert Marcuse, who later became Heidegger’s assistant and qualified as a university teacher by writing on Hegel under his sponsorship. And, of course, there was Heidegger’s often-chronicled relationship with another gifted Jewish student, Hannah Arendt. It was impossible, in Germany before 1933, to avoid meeting Jews in academic, cultural or scientific institutions. Heidegger’s bewilderment at the modern world, his incapacity to live in it, perhaps accounted for his recourse to anti-Semitism. He was no moral hero, and more than a bit of a coward and a swine. As for his view, made much of in the Times article, that the Third Reich was a counter-civilization, preserving the naturalness of human existence against the remoteness of modernity—it was and remains preposterous. Are we to believe that the regime that organized the industrialization of extermination, ceaselessly developed advanced weaponry and looted the rest of Europe with bureaucratic precision only intended to return to the playfulness of original human existence? Heidegger’s Nazism bespoke the philosopher’s quite gigantic stupidity.